Junkies come in all varieties, and if you're a plant junkie, your dealer likely is Mesquite Valley Growers. 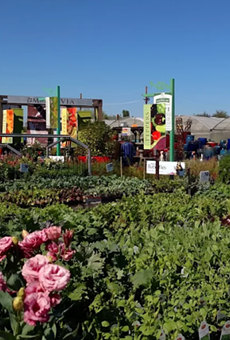 Stretching before you on acres and acres are annuals and perennials, cacti and succulents, native and desert-adapted landscape plants, shade and fruit trees, herbs and veggies, and even exotic tropical plants and artistically crafted bonsai. If you don't know your way around this plethora of plant life, there is a knowledgeable staff to be your guide to establishing your own field of dreams (or hallucinations?). You'll also find everything needed to make your garden thrive—pots and soil and fertilizers and tools, as well as the perfect decorative accessories to complement your creation as it evolves with the seasons.